*The car height adjustment unit is included for rear spring position. *Require modification to the rear spring seat rubber. 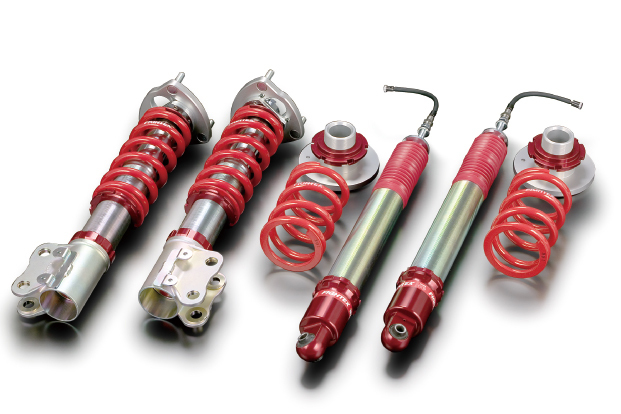 Damper KIT contents: Damper, main spring, car height adjustment upper unit (rear), pillow-ball upper mount (front), spring upper seat, spring lower seat, lock seat, dust boot, car height adjustment wrench, damping force adjustment wrench, instruction manual.